Wow! Lots to share today, so I'll dive right in. 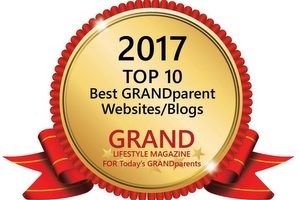 First, there's still time to write a post to share in the Grandmother Power Blogging Campaign, a collaborative effort of hundreds of bloggers — grandmothers, non-grandmothers, folks from all walks of life — writing about the powerful force of grandmothers. 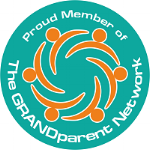 Linking your post to the campaign is yet another super way we can all join together to support grandmothers across the globe. My contribution to the campaign is a second publication of the post I originally wrote after I had the privilege of spending the day with Paola Gianturco, the photojournalist and author of Grandmother Power — the inspiration for the Grandmother Power Blogging Campaign. I hope you'll join us, either by sharing your link there (click on the graphic to the right) or by reading the links of others. Next, in celebration of Mother's Day, Jared The Galleria of Jewelry is celebrating the stages of motherhood and giving away jewelry. 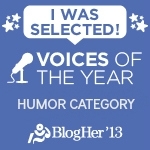 I was chosen to represent the grandma stage (woot!) 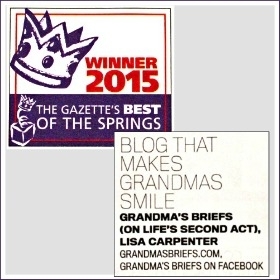 and would love for Grandma's Briefs readers to win some of the prizes in the Mom Moments sweepstakes. Read all about it — including my grandma tips and a glimpse of the Jared jewelry I had the pleasure of recommending for grandmas — in my post on the Mom Moments sweepstakes. And finally, the GRAND Social! 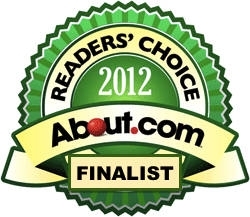 I appreciate you sharing your links and sharing the visits and comment love with one another. Cheers!